Today the Ribbon Carousel and Nikki Sivils teamed up for this fun blog hop! 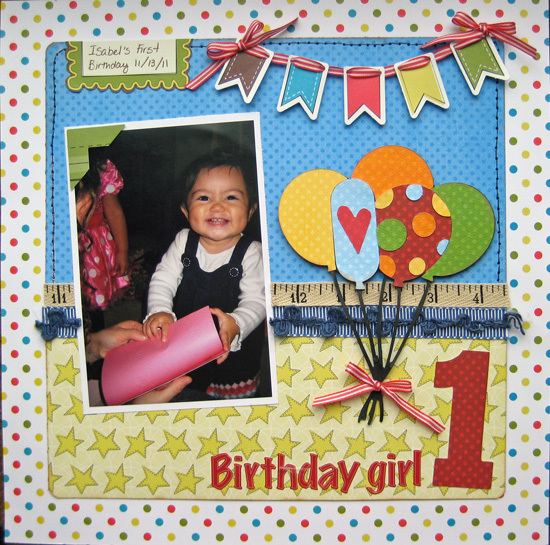 I LOVED working with the Ribbon Carousel ribbon on this layout! I used the Nikki Sivils "School is Cool" line and four different Ribbon Carousel ribbons I used the red and white for my banner, and the others for the border across my page. 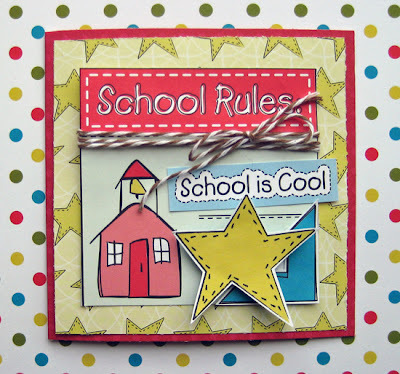 I think my favorite is the ruler ribbon for sure! LOVE! I aslo used my cricut and the Birthday Bash cartridge to cut the balloons and the number one. Thanks for hopping over! Have fun on the hop! I'm back with some new projects! But I was busy the last couple of weeks with these projects that I have to share with you today. 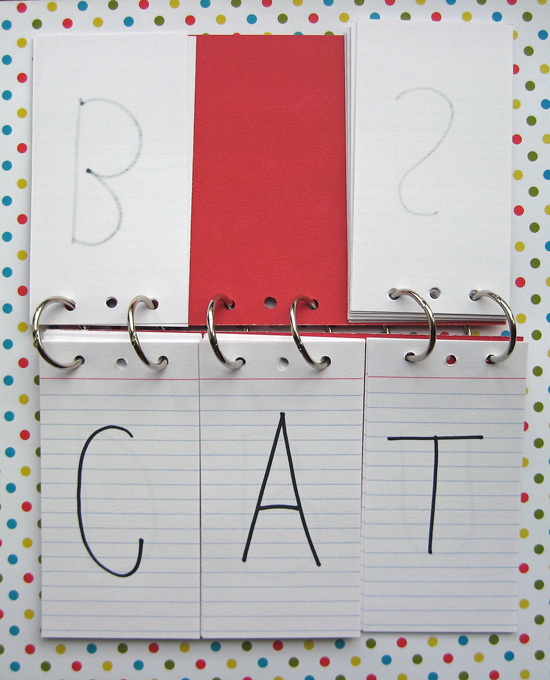 The first is a a little book I made for my little girl who is starting her second year of pre-school! It is a spelling book to help her start spelling. 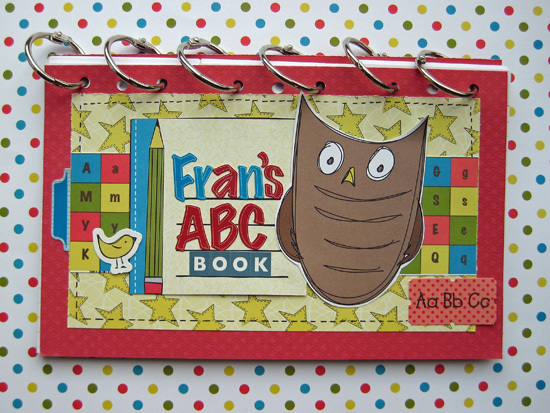 I used the Nikki Sivils "School is Cool" line for the book. I used 26 8 x 5 lined index cards and trimmed them to 2.67 inches and then wrote the alphabet on the three sets. 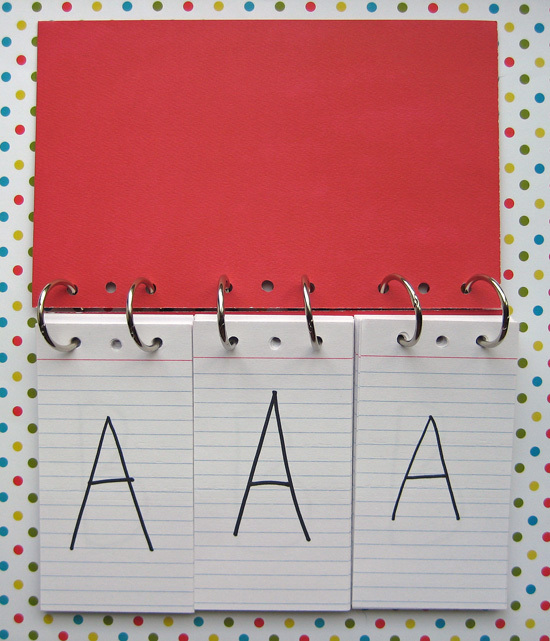 I trimmed a piece of cardstock to 8 x5 (two pieces) for the front ad back covers and then hole punched the whole thing. 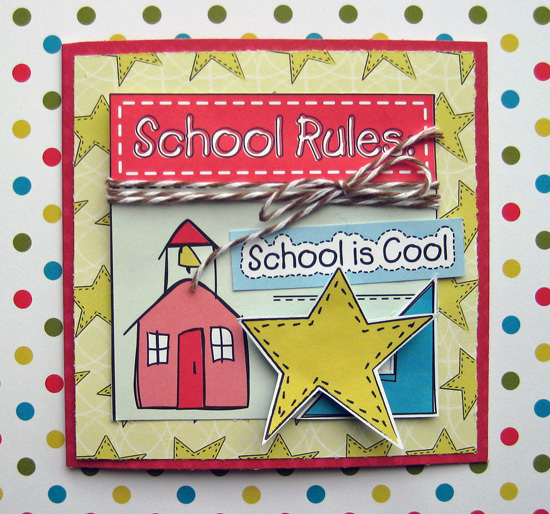 Next I created a gift card holder also using "School is Cool". 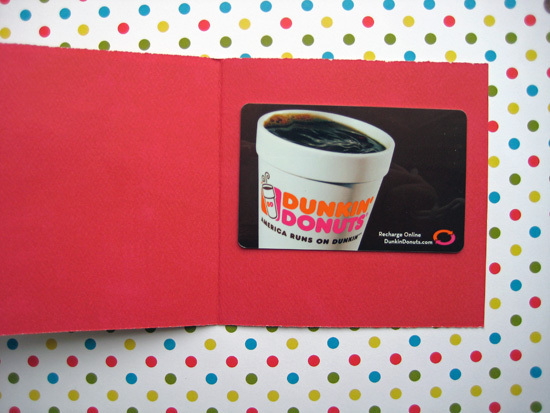 I adhered the gift card to the card using glue dots. They are very easy to peel of the gift card when it is removed! 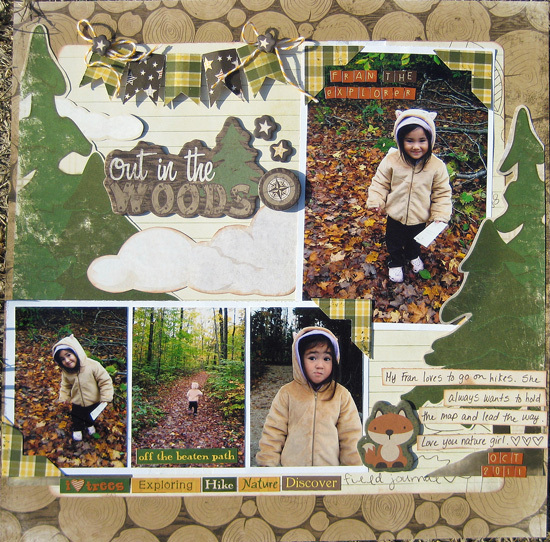 I used the Camp-A-Lot papers, chipboard and stickers to create my layout. Thanks for coming by! I'll try to be back soon with more projects!